Thu., Feb. 22, 2018, 6:35 p.m.
FORT LAUDERDALE, Fla. – The armed officer on duty at the Florida school where a shooter killed 17 people never went inside to engage the gunman and has been placed under investigation, officials announced Thursday. 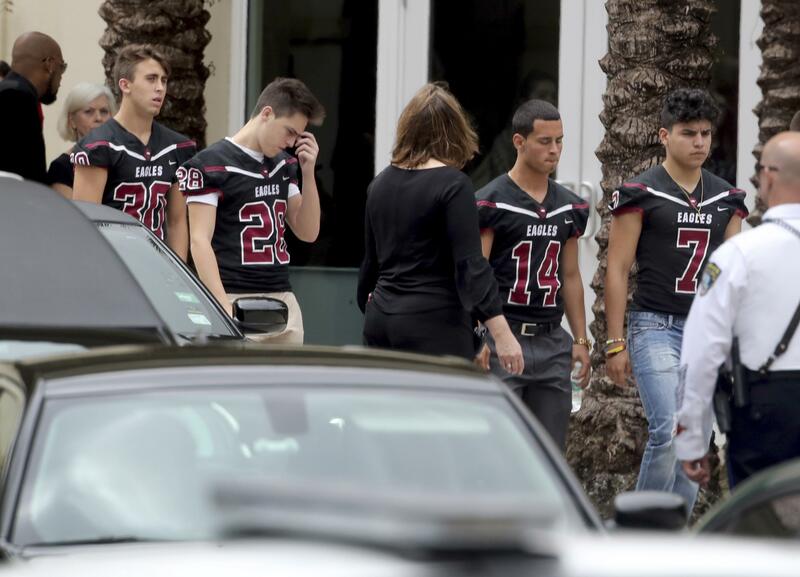 The Valentine’s Day shooting at Marjory Stoneman Douglas High School by a gunman armed with an AR-15 style assault rifle has reignited national debate over gun laws and school safety, including proposals by President Donald Trump and others to designate more people – including trained teachers – to carry arms on school grounds. Gun-control advocates, meanwhile, have redoubled their push to ban assault rifles. A telephone message left at a listing for Peterson by The Associated Press wasn’t immediately returned. Florida House Speaker Richard Corcoran said Thursday night that his chamber is going to recommend creating a special commission to investigate the “abject breakdown at all levels” that led to the shooting deaths. Corcoran also said the news about the resource officer’s failure to respond did not dissuade him from moving ahead with what he was calling the “marshal” plan to let local law-enforcement officials train and deputize someone at the school who would be authorized to carry a gun. “He’s not indicative of the law enforcement community; that’s not going to change our behavior at all,” Corcoran said. Published: Feb. 22, 2018, 6:35 p.m.